Prime Minister Benjamin Netanyahu on Tuesday delivered a blistering attack on rising “forces” that want to tear Israel and the US apart, vowing that the Jewish people will stand up to anyone trying to harm them and their state. 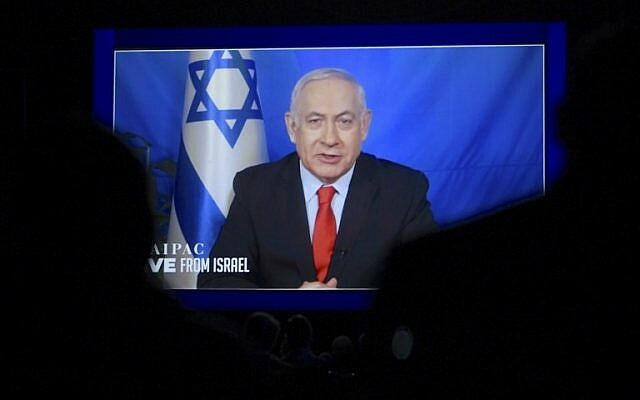 Netanyahu, addressing some 18,000 AIPAC activists in Washington via satellite from Tel Aviv, joined other speakers who had attacked Omar at the lobby’s annual policy conference. “Some people will just never get it. They will never understand why the vast majority of Americans, Jews and non-Jews alike, support Israel. Take it from this Benjamin: it’s not about the Benjamins,” he said. 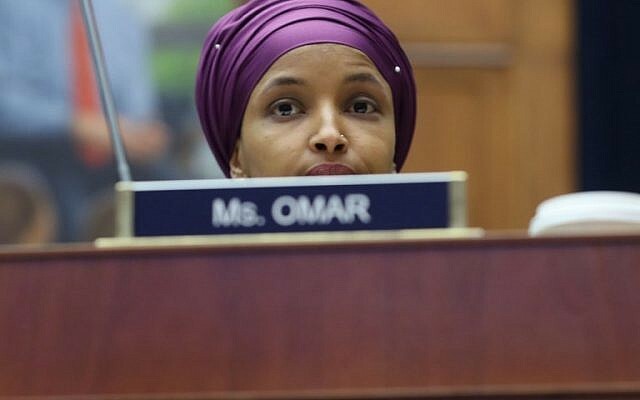 Omar responded to Netanyahu’s broadside on Twitter by referencing the prime minister’s legal woes. 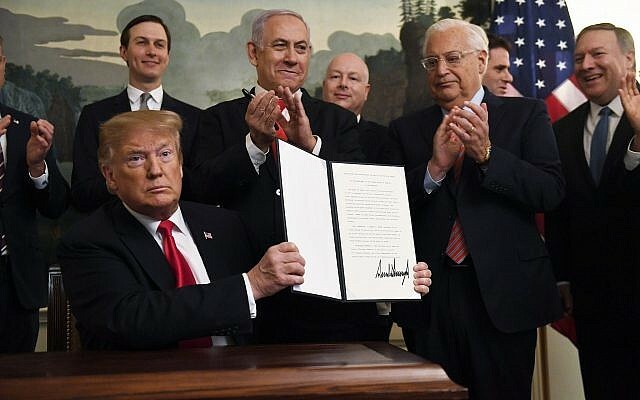 During his 10-minute speech, Netanyahu also briefly addressed the volatile security situation in Israel’s south, and thanked US President Donald Trump for his recognition of Israeli sovereignty over the Golan Heights. “Now that deserves enormous applause,” he said. “The Golan Heights is indispensable for our defense. It’s part of our history. When you put a shovel in the ground there what you discover are the ruins of ancient synagogues. Jews lived there for thousands of years and the people of Israel have come back to the Golan,” he said. Contrary to “false attacks and allegations,” the law did not walk back any individual rights, “which remain sacred and equal for all our citizens. And it will always be that way,” the prime minister vowed. Critics of the nation-state law have said it enshrines non-Jews as second-class citizens. Netanyahu has also been accused of race-baiting during the campaign by insinuating Arab political parties are illegitimate. His political maneuvering to bring the racist Otzma Yehudit party into the Knesset drew wide rebuke, including rare pushback from AIPAC, which has tried to remain bipartisan even as Netanyahu’s open embrace of US President Donald Trump has led some to question the future of two-party support of Israel. Netanyahu called for the preservation of strong US-Israel relations and vowed to fight all those who seek to harm these ties and the Jewish people overall. “Again, the Jews are cast as a force for evil. Again, the Jews are charged with disloyalty. Again, the Jews are said to have too much influence, too much power, too much money,” he lamented. The best response to people who hate Jews is standing up to them, he said. Netanyahu was originally scheduled to address the conference in person, but on Monday cut short his trip to DC in light of the volatile security situation in Israel.